Get your smile whiter and brighter! 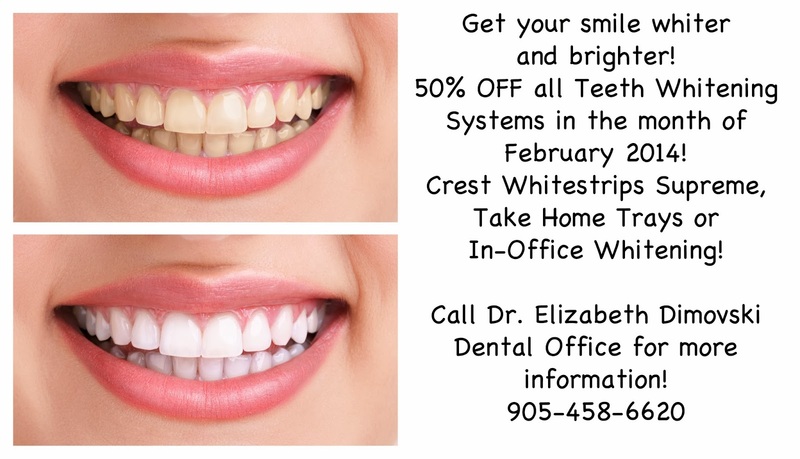 50% OFF all Teeth Whitening Systems in the month of February 2014! Crest Whitestrips Supreme, Take Home Trays or In-Office Whitening! Call Dr. Elizabeth Dimovski Dental Office for more information! This entry was posted in Teeth Whitening Specials and tagged Brampton, Dentist, Family Dentist, Half Price, Specials, Teeth Whitening by Lifeology 101. Bookmark the permalink.